The Moki Pendent is a beautifully designed folding neck knife. It features a stainless steel handle with an intricate mother of pearl inlay with apple coral insets. The blade is made from VG-10 stainless steel and is equipped with a razor sharp flat grind edge. 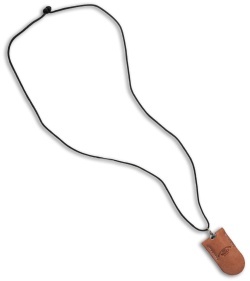 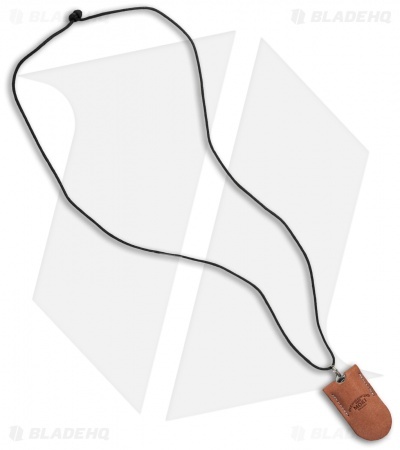 It slips comfortably into a custom leather sheath that can be worn around your neck with the included lanyard cord. The Pendent has a stunning handmade appearance and a compact size that is ideal for EDC. 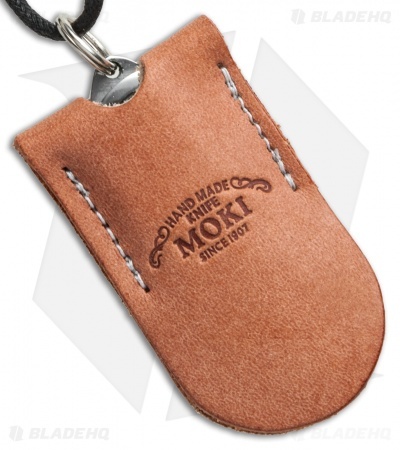 Moki Knives is a world renowned knife manufacturer located in Seki Japan. 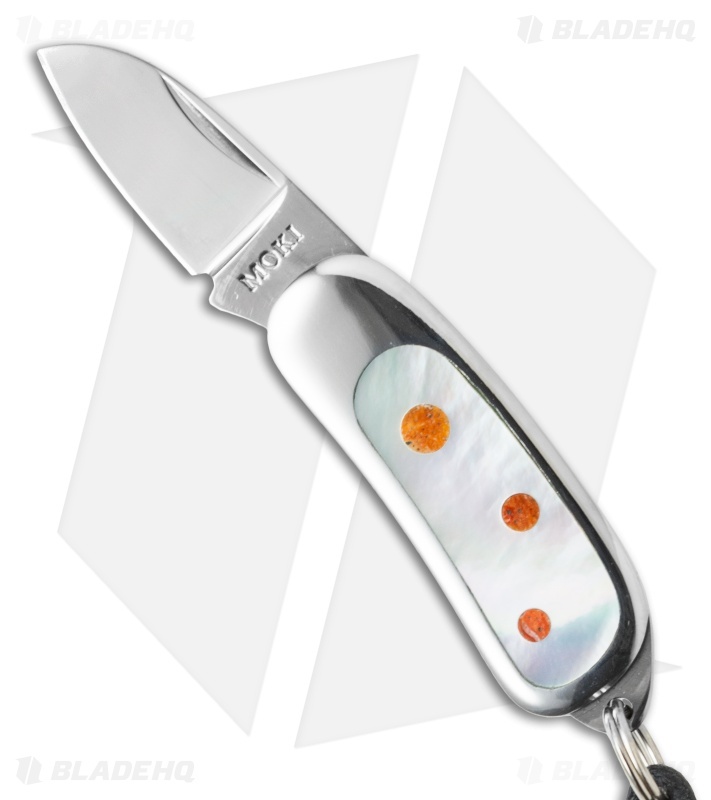 Since 1907 they have been producing knives with superior quality and a strict attention to detail. 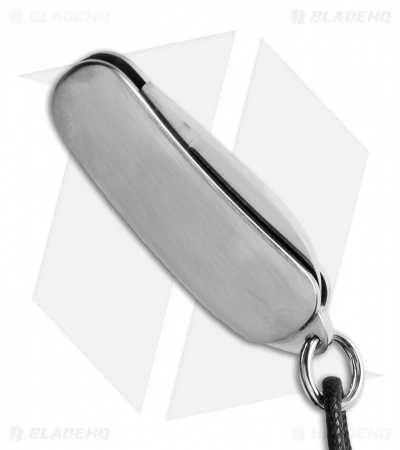 They perform OEM work for some of the biggest knife manufacturers in the world as well as producing their own lines of factory custom knives. Moki handmade knives are designed for unrivaled sharpness and durability.